I was invited to speak at an event centred around climate change and filmmaking – the intersection of this environmental issue, science and the medium of film and how this crossover can have an impact. It was an honour to be welcomed to this conversation as part of the Berlinale NATIVe program. We watched short narrative films about climate change by students, engaged in a panel discussion with Q&A and I was able to screen my 2010 short documentary TIDE OF CHANGE to a packed house. My fellow panelists were Prof Peter Lemke, Prof Peter Henning, Dr Renate Treffeison, Prof Rolf Teigler. 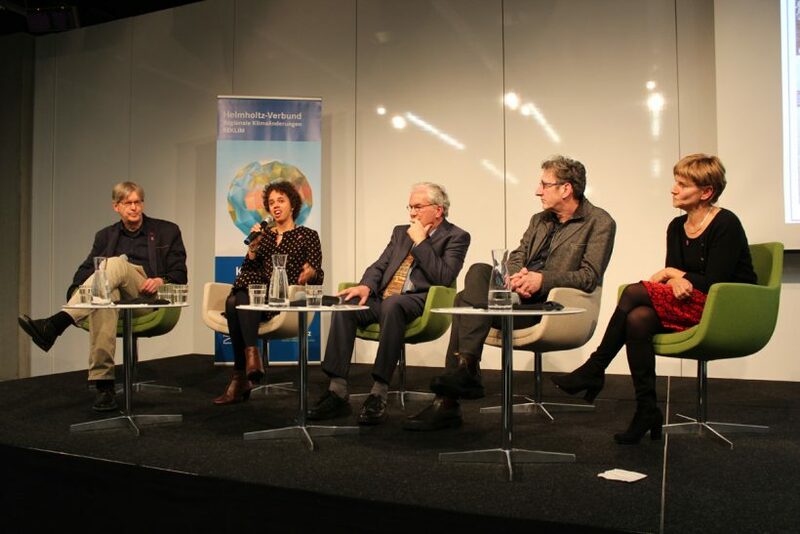 It was a pleasure to participate in the event and so very significant to have a platform for discussion around issues of climate change with scientists, academics, students, storytellers and community at the same time, because we don’t often have opportunities to cross paths across disciplines on an international scale. I believe that film can be a powerful medium to provoke thought and create dialogue and discussion. If we can continue to connect, create films and expand on this conversation in the future, we will be able to raise awareness about the effects of climate change and hopefully be a part of the change that is needed to combat this issue. Interview for the student project. Images: Bärbel Kosanke. I commend REKLIM at the Alfred Wegner Institute Helmholtz Centre for Polar and Marine Research, DEKRA University of Applied Sciences and Berlinale NATIVe for putting the issue of climate change on the Berlinale agenda. And thanks so much to REKLIM for supporting my attendance at the festival.